Photo above courtesy of Ron Gouveia. Other photos by Fran Macalintal. 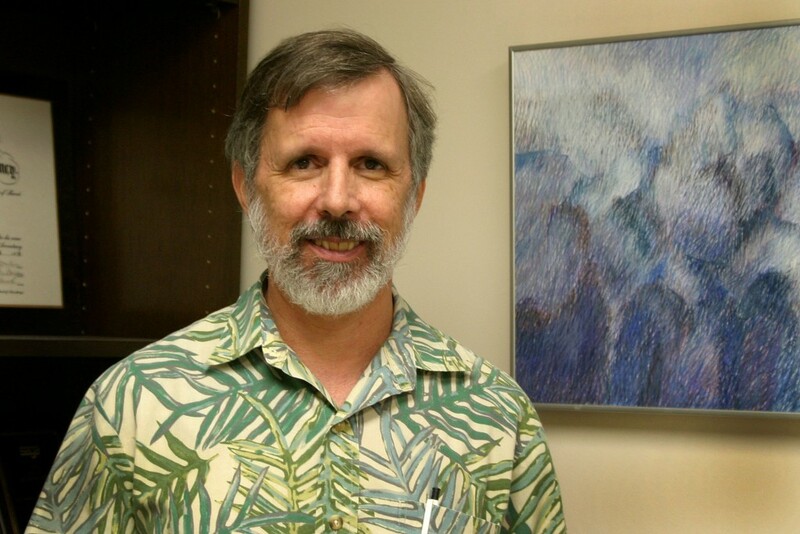 Craig Lent has appointed Ron Gouveia as the new principal branch coordinator for the Oahu branch. Ron began a six-year term on October 15, 2015. He follows Tom Duddy, who served three consecutive six-year terms. 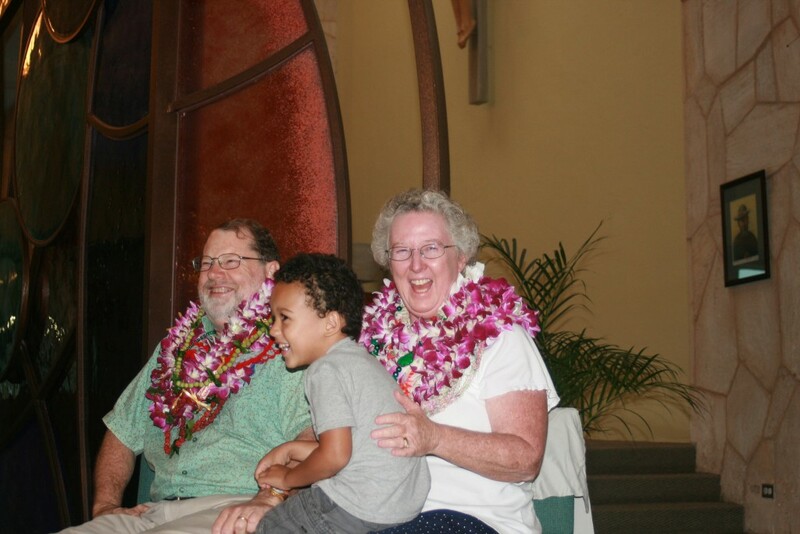 Ron, 67, is a tenured coordinator and one of the men who led the Light of Christ prayer group, whose members became the Oahu branch of the People of Praise in 1983. A lifelong Oahu resident, Ron has one daughter, Sharon, and a son, Jonathan, from his 36-year marriage to his wife, Carrie, who died in 2006. He works as a certified public accountant and plans to retire in 2017. Ron and Tom, in addition to being neighbors within the same condominium, are long-time brothers in the community. The Duddys came to Oahu in 1980 on a Navy commission and had their first ever Lord’s Day dinner with Ron and Carrie Gouveia’s household. 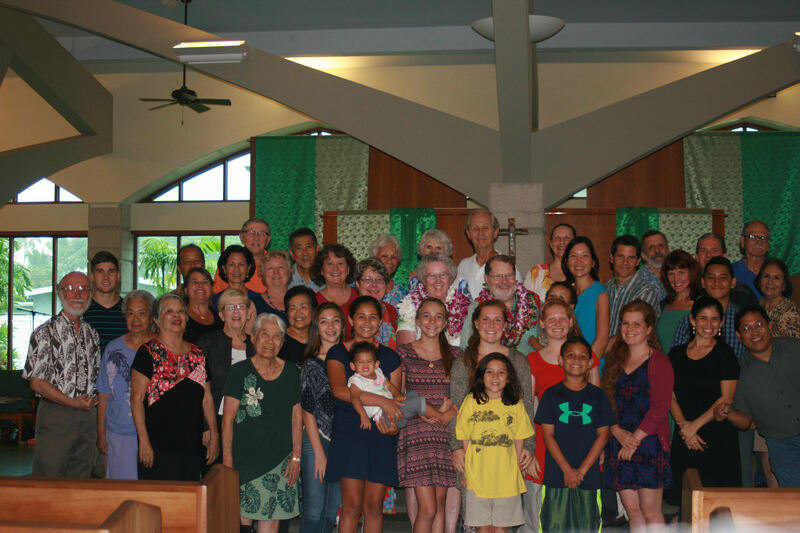 On October 4, the Oahu branch devoted their annual community celebration meeting to honoring and thanking Tom and his wife Mary for their years of service. “Tom served unselfishly, humbly, generously, with a great passion to be the servant of all,” Donald Busekrus said. Branch members recalled his accordion-playing skills, his passion for birding and his annual role as Santa Claus passing out gifts to branch children. “The kids all like ‘Uncle Tom,’” said Bob Linczer. Throughout his tenure as PBC, Tom worked full-time as a legal assistant specializing in medical malpractice, while Mary worked first as a parish secretary then for the marriage tribunal of the local Catholic diocese. Of Mary, Alana Busekrus said, "She is always eager to share life with others by serving them. She brings meals to new moms or to sick community members, helps with cleaning or moving, and prays over or reaches out to those in need, sharing her contagious humor and joy." Praying for you uncle Ron in your new role. What a service, thank you for your yes. And God bless you mom and dad for your service it blessed me any many more over the years. More Lord! How wonderful. Thank you Ron for saying yes! And thank you Tom and Mary for your years of generous, loving service!!!! God bless you! Our love and thanks to Tom, Ron and their families. May the blessings that they bestow on others come right back to them. Thank you Ron and thank you Tom. Our life would not be possible with the loving care of brothers like you. Congrats, Ron & Tom! One great man of God following in the footsteps of another. Thank you, Tom, for 18 years of selfless and encouraging love & service as PBC. You are highly esteemed throughout our community. And thank you, Ron, for standing up to assume this important leadership role. I have long admired your gifts and love for God and our brothers & sisters. You are God's man, and as such, will do very well in your new position. Congratulations, the branch is in good hands. Many fond memories of our times together, from leaders meetings as a Light of Christ leader, to our visits for Oahu retreats. Diane and I will be praying For you. When my wife Jean and I visited Hawaii 6 years ago, Tom and Mary picked us up at our hotel to take us to the branch picnic. The next day Ron drove us around Oahu sightseeing, a memory we'll never forget. What a joy to have such marvelous brothers and sisters. Congratulations to you all! Tom and Mary you have given yourselves so generously to the People of Praise. I loved our walks at Turtle Bay and meals at your house. I watched your children grow up. Tom you, too, have a gift of wisdom and speaking the truth in love. 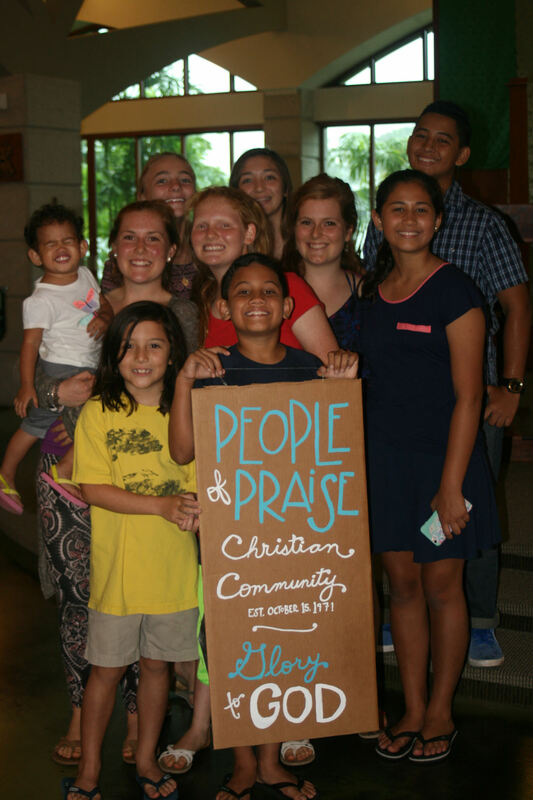 Eighteen years is a long time to be PBC but you served as if it was your first day. Thank you for your yes brother. Praying for you and for all our brothers and sisters in Oahu.